After giving a tough fight to global technology majors Google, Apple and Facebook in the mobile advertising space, home-grown tech unicorn InMobi is eyeing the big data and analytics space. It is banking on its recent acquisition of Pinsight Media and partnership with Microsoft to venture into this field. The Bengaluru-headquartered mobile marketing and advertising software firm has launched a new unit called TruFactor with an aim to offer insights into all kinds of businesses, such as how to make use of customer data without breaching user privacy. The unit will operate as a wholly-owned subsidiary of the SoftBank-backed firm. It would initially work with major telcos across the world by providing them with a “secure and scalable” data platform using proprietary tools and technologies, and leveraging the expertise of Pinsight. The new unit aims at transforming raw and network-level mobile data into actionable intelligence to improve customer experience and retention, the company said at the ongoing Mobile World Congress in Barcelona. “Almost every firm in the world is collecting a lot of data. If you look at telcos, they are sitting on huge amounts of data that they have built quite painstakingly, investing trillions of dollars. But almost every such company today faces a loss of trust (from customers) while using data, with data privacy now emerging as the new human rights for customers. With TruFactor, we are creating the most secure data platform in the world,” InMobi co-founder and CEO Naveen Tewari said. TruFactor, which will have its headquarters in the US, has around 100 associates working across three locations, including Singapore and Bengaluru. Over the next three years, InMobi is looking at investing $100 million in this business through internal accruals or by means of external funding. “This is for the first time that we are creating a business unit within the company,” said Tewari, a graduate from IIT-Kanpur and an alumnus of Harvard Business School. With this unit in place, InMobi has extended its partnership with Microsoft which was earlier confined to its marketing and advertising business. TruFactor will use Azure Data Lake Storage as its foundation for delivering secure and scalable data to provide enterprise-grade and machine learning application programming interfaces for the data platform. “Almost every telco can be our potential customer. 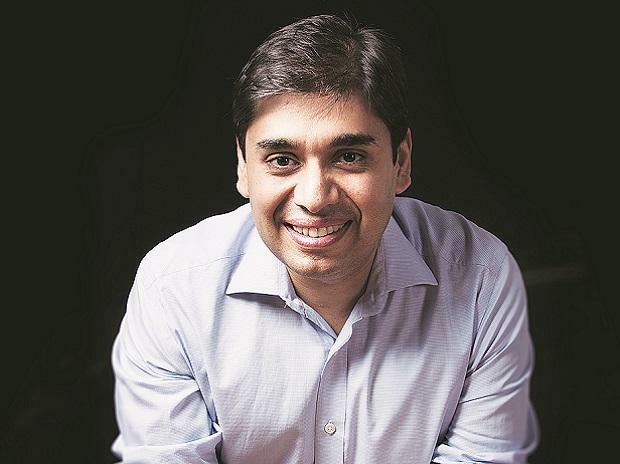 Over the next three years, we would look at signing in at least 30 telcos across the world which in itself is a huge opportunity for us,” said Piyush Shah, one of the co-founders of InMobi. Shah will now look after TruFactor as well as marketing cloud as president. In the second phase, Shah said the unit would look at working with financial services companies that are also as hungry as telcos to manage their customer data securely.